Green hydrogen has been flagged as a future clean energy export, and a New South Wales distributor is set to test the technology on the domestic front. A $15 million trial will use hydrogen generated by renewables to power household heating and other appliances through the natural gas grid. The recently announced project will run over five years and has the catchy name of H2GO. It will see gas distributor Jemena build a 500kW demonstration plant using electricity from sources such as wind and solar to convert water into hydrogen for storage in Sydney’s natural gas grid. This process is known as ‘power-to-gas’. The Australian Renewable Energy Agency (ARENA) has contributed $7.5 million to the project. According to ARENA CEO Darren Miller, as more renewables are built, there will be days when we will need to find uses for large amounts of excess energy. “Hydrogen could play an important role storing energy to stabilise the grid, as well as reducing the carbon intensity of the gas network,” he added. 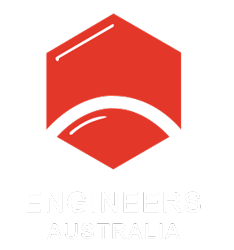 “With the right conditions, Australian hydrogen exports could contribute $1.7 billion per annum to the economy and provide 2,800 jobs by 2030,” the report stated. CSIRO’s National Hydrogen Roadmap suggests hydrogen could eventually replace natural gas for low-emissions heating on the domestic front, and provide an economically-competitive feedstock for some industrial processes — but this is still a way off. Experts currently estimate that 10 per cent (by volume) of hydrogen can be safely blended with natural gas. However, the United Kingdom is poised to inject up to 20 per cent hydrogen into their gas network in 2019. According to The Engineer, The UK’s Health and Safety Executive granted a project based at Keele University an exemption from the 10 per cent limit following their demonstration that the higher hydrogen concentration would be as safe as natural gas. Closer to home, ARENA has invested $1.5 million in ATCO’s $3.3 million Clean Energy Hub at Jandakot in Western Australia. Powered by 1100 onsite solar panels capable of producing 300kW, combined with 400kWh of battery storage, it will generate hydrogen gas to test on appliances in a mock home. 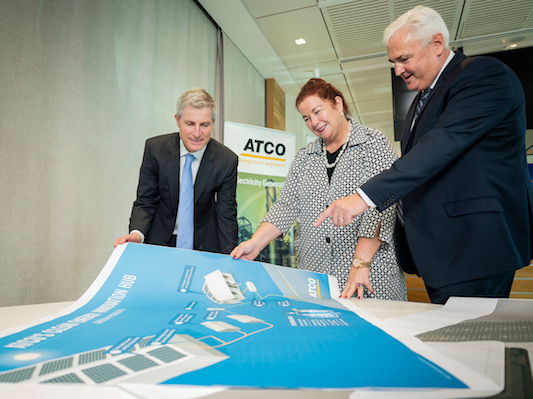 As well as using a low concentration of hydrogen blend to test systems designed to be used with natural gas, ATCO will install a second pipeline to deliver pure hydrogen to future custom-built appliances. In total, the Western Australian hub is expected to produce around 4 tonnes of hydrogen annually, starting in March next year. Plans for power-to-gas trials at the Tonsely Innovation District and the Australian Gas Network Kidman Park depot in Adelaide Kidman were also announced before the change of state government in March. While low concentrations of hydrogen are safe to use with existing natural gas appliances, there are still some engineering challenges to be overcome before a high concentration of hydrogen gas can be used for household cooking and heating. For example, hydrogen has an increased risk of light-back due to a higher flame speed than natural gas, and its water vapour by-products could affect the performance of ovens and boilers. Hydrogen is also more likely to leak than natural gas, but will disperse more quickly. In July, ATCO innovation director Samuel Lee Mohan said these technical obstacles could be resolved within five to eight years. However, economic factors such as the cost of new appliances and gas network upgrades will also play a role in the transition.